Whatever is said about the shortcomings of the Russian political system, it has at least one indisputable technical advantage: significant changes can be made without waiting for the next elections. Liberal public opinion is outraged by the news that the Russian president and prime minister “have long agreed” which job each of them would take. Everything seems to be strictly constitutional, but the people’s will is not being freely expressed. However, Dmitry Medvedev and Vladimir Putin, as well as much of Russian society, don’t seem to think that’s Russia’s biggest problem. Perhaps they are afraid that if they relinquish power, the world would soon see a free but hungry and embittered people. Just one day, and a Sunday at that, passed between two important events: the announcement of the tandem swap and the resignation of Deputy Prime Minister and Finance Minister Alexei Kudrin. It’s no surprise that President Dmitry Medvedev and Prime Minister Vladimir Putin decided to waste no time in showing the political landscape how to take decisive action. One of these courses of action is to put loyal professionals in key posts. Earlier, during a trip to the United States, Alexei Kudrin voiced his opposition to the president’s decision to significantly increase the Russian defense budget, and also spoke about the growing deficit of the State Pension Fund, which is currently the only real source of pension financing in the country. The former finance minister also publicly criticized some of the president’s other economic initiatives. In Russia, the first move of the new tandem operation was enthusiastically received by the Communists. Alexei Kudrin more than once gave them good cause for advocacy when he opposed social obligations for being financially impractical. Liberal politicians are worried, seeing this as another sign of arbitrary rule. But because the now former finance minister was by no means a liberal—on the contrary, he was a typical hawk—there is no one to defend him. And there is no time to do it. It is more important to predict and understand what the authorities’ next actions are and how effective and consistent they will be. 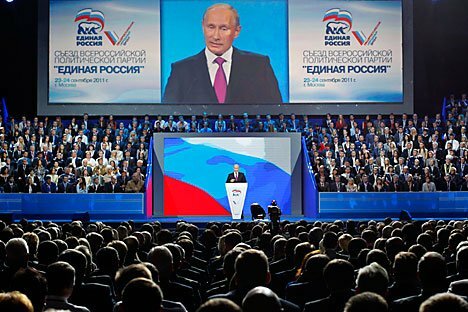 If we are to believe the repeated declarations of the president, prime minister and much of the Russian political establishment that supports them, the main task in the coming years will be modernizing and diversifying the economy. That means we can soon expect more attractive terms for investment in high-tech sectors. But modernization will mainly be financed, as before, with revenues from the sale of energy products. So, we shouldn’t expect any changes in that sector that could worsen the investment climate. One of the most ambitious and expensive programs is the modernization of the army. For that to happen, sacking the finance minister isn’t sufficient. In order to have enough for the army, for modernization and for social spending, the state budget will have to be revised. One of the new sources of budget revenue will apparently be the introduction of a progressive income tax that would require the rich to pay more. That measure could scare off investors, who will have to divvy up more of their profits to the Russian treasury. We can also expect a new wave of privatization of large companies, including the oil and gas industry, as well as Russian Railways and Russia’s biggest bank, Sberbank. “We are not building state capitalism. There was a period when the role of the state was intensifying. It was inevitable and necessary. Now the potential of that path has been exhausted,” Dmitry Medvedev told the International Economic Forum in St. Petersburg last summer. Some analysts believe that Vladimir Putin does not share that idea, and that once he is back in the Kremlin, he will seek to strengthen the role of the state, at least in strategic sectors. It seems that such arguments mainly serve to confirm the views of the sizable section of society that opposes the partners working in tandem. Allegedly, Putin is an advocate of a strong state more like a dictatorship, while Medvedev is more of a liberal. Compare the “steely gaze of the former KGB officer” with the “thoughtful gaze” of the former university professor. That sounds nice but makes no sense politically. Russia’s policy, both domestic and foreign, will be more liberal or more reactionary regardless of the color of its leaders’ eyes. It will be determined by internal and external factors. Right now, those are very complex. Let us hope that the policy will be pragmatic enough to change things for the better.